Great first time experience! Clean, friendly and fast! They did an awesome job! Brought my daughter her for a late night earache. Fast and friendly care and concern. Patients in the Central Valley can get the quality medical care they need for all members of their family at Express Lane Urgent Care. This urgent care is conveniently located near Emanuel Medical Center, right in the heart of Turlock, California. The team of top-rated medical professionals are compassionate, experienced, and provide each patient with an exceptional level of care and personal attention. They’re dedicated to being quick and efficient, so patients can get back to their daily lives and return to 100% health as fast as possible. 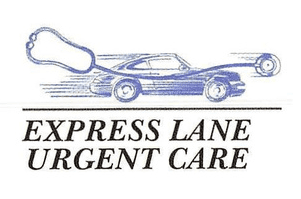 Express Lane Urgent Care providers are known for providing our patients with quality care, and ensuring our patients can get back to their lives as soon as possible. The skilled and knowledgeable team regularly cares for patients who have acute minor ailments and injuries such as the flu or common cold, lacerations, sprains and strains, pink eye, sinus infections, urinary tract infections, rashes mild asthma and more. At Express Lane Urgent Care we offer a flexible experience with both convenient walk-in visits or scheduled same day appointments. We are open seven days a week, including evening hours. We strive to meet the urgent care needs of the people in Turlock and the surrounding communities. We provide care for patients who need an alternative to the emergency room or primary care doctor when they have no available appointments. Being Seen at Express Lane Urgent Care is Easy! We provide flexibility to our patients by accepting both same-day appointments and walk-ins. We are open 7 days a week from 10:00am- 6:30pm! At Express Lane Urgent Care we see patients who do not have insurance. Our cash pay price is an affordable $110. There are sore throats, and there’s strep throat. Knowing when it’s strep can speed up recovery and prevent the spread of the bacterial infection. Great place and very efficient staff. I have taken all of my kids here, especially the one that tends to break out in hives and has received very promt and professional..